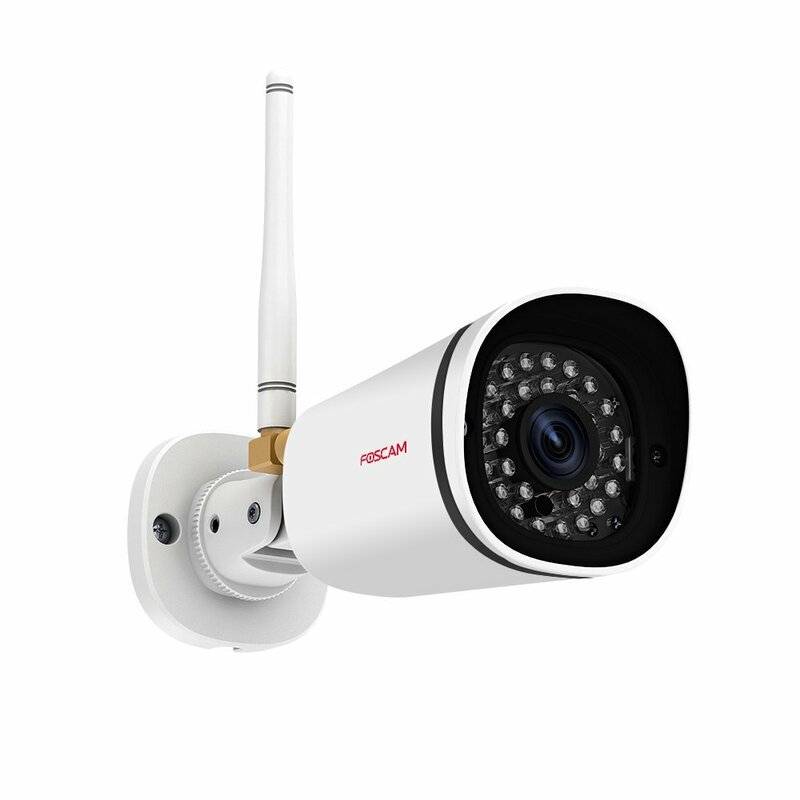 Combines a high-quality HD digital video camera with a powerful built-in web server to provide live video anywhere. All that's required is an internet connection and viewing device such as a smartphone or desktop computer. Combines a high-quality HD digital video camera with a powerful built-in web server to provide live video anywhere. All that's required is an internet connection and viewing device such as a smartphone or desktop computer. 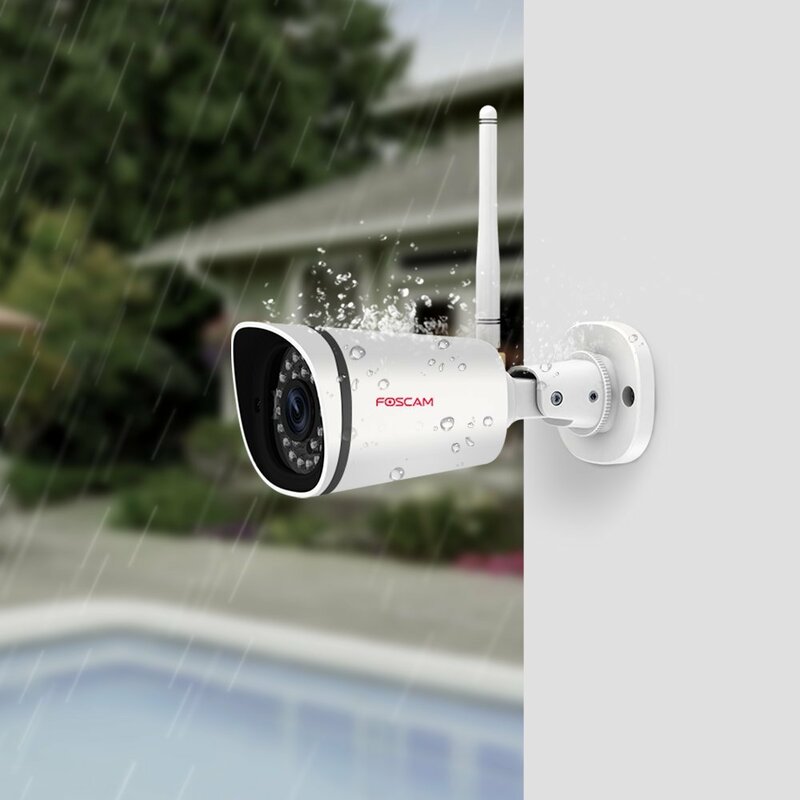 This IP camera comes equipped with 30 high powered IR LEDs for night vision up to 65ft, and sophisticated motion detection with optional alerts. Intelligently corrects dark faces under heavy light, with an auto-IR cut filter to combine ultra-high color accuracy with rich 1080P Full HD and a Super Wide 118° viewing angle. This model also includes external mic/speaker audio jacks for optional outdoor two-way audio. 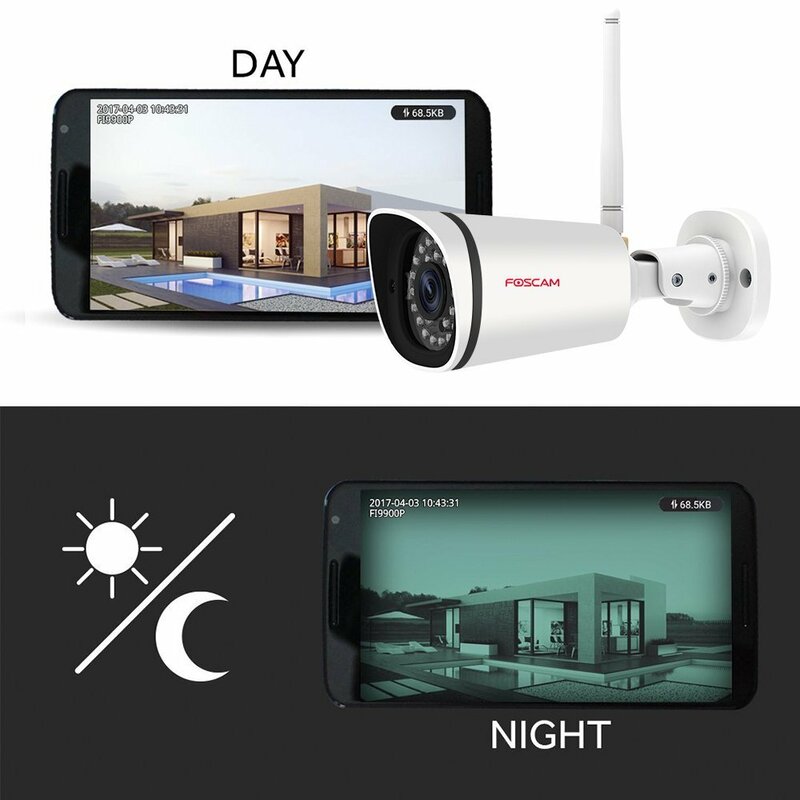 Improves on traditional CCTV and home security camera systems with plug and play setup provided by the Foscam smartphone app. The "Plug and Play" setup process is easy: simply scan the camera's QR sticker with your smartphone and it syncs with the camera automatically. 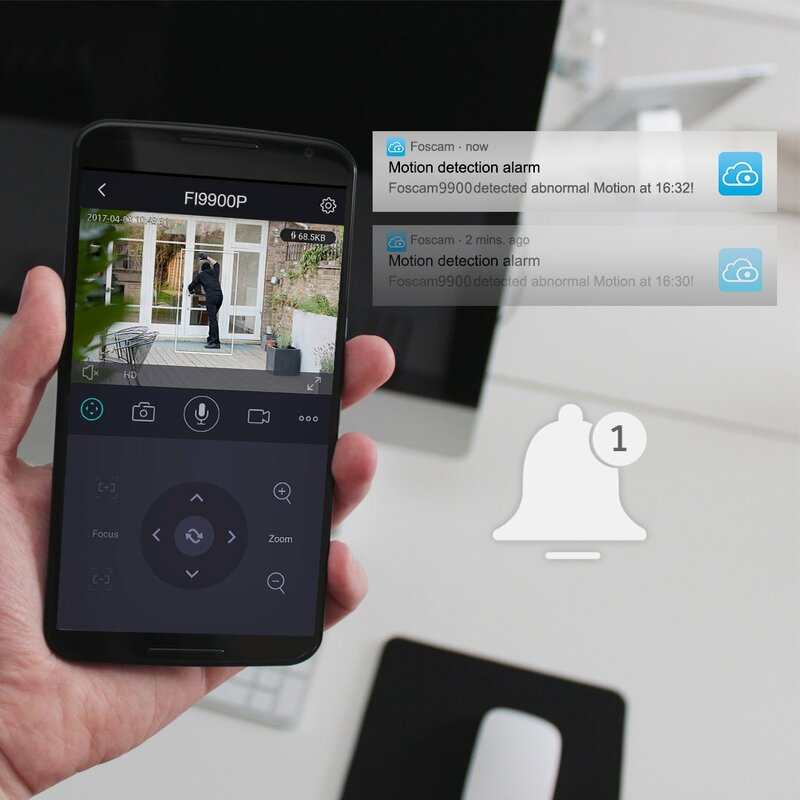 Remotely access your security camera feed, motion events, and recordings to enjoy peace of mind from anywhere. Includes free local recording. Optional Foscam Cloud remote storage is also available (free trial included).